Want something to beat those winter blues? Nothing says comfort food like a hot nutritious bowl of yam soup on a cold dreary day! Yams are not only delicious, they’re chockfull of essential nutrients to keep your immune system in top shape during the season. A good source of Vitamin C, they help fight colds and flu and promote a strong immune system. They also contain Vitamin A to support healthy bone development and B vitamins to reduce stress. And although they are considered a starch, they are a low glycemic complex carbohydrate which allows for a slow uptake to maintain balanced blood sugar levels. Traditional Chinese Medicine claim that yams nourish the spleen, tonify the kidneys, promote good digestion and overall longevity. Yam is a perfect winter food, keeping you warm and grounded. 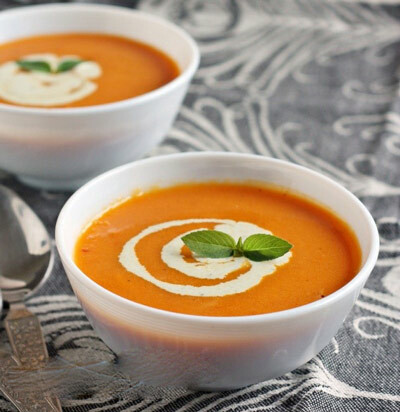 Enjoy this delicious yam soup recipe. It’s a winner that might just earn you some brownie points with your loved ones. Massage School Edmonton - Copyright © 2019 - Archways Healing College. All rights reserved.